Last seen opening for Ramblin' Jack Elliott at the Freight's 2009 new home grand opening, Rick & Aireene draw inspiration from a wealth of musical traditions. The duo conjures up their own route into timeless storytelling, painting pictures of places and people's lives while referencing the blues, jazz, folk ballads, stomps, bluegrass, and field hollers. 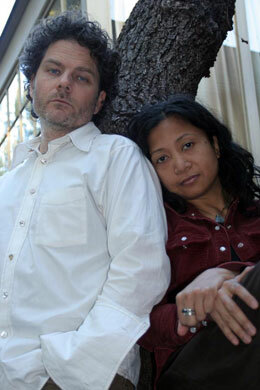 Or as Rick and Aireene would have it, they "Make the old sound new in an old sort of way." Rick's unique dulcimer-influenced lap-style guitar playing and Aireene's deep, earthy vocals lie at the heart of their performances, which also feature great harmony singing, Aireene's tenor ukulele work, and a fine balance between the pair's individual songwriting talents. Rick and Aireene have also released a DVD titled Live at the Freight & Salvage. But we really think you should see them in person.